The transplant coordinator—a nurse dedicated to coordinating every facet of the transplant process—is a crucial member of the transplant team. And Masina Scavuzzo, RN, BSN CCTC, is a name that stands out among the people she’s cared for over the last 30 years. Patricia (Pat) Girard’s love for people and caring nature drew her to a career in nursing in the early 1950s. After Pat and her husband, Jim, passed, their children found the perfect way to honor their parents' legacy with the Emergency Compassion Fund at Goldfarb School of Nursing at Barnes-Jewish College. After Rich Merli was diagnosed with urethral cancer, his family decided that Evelyn’s House, a service offered by BJC Hospice, would offer Rich the specialized 24-hour hospice care he needed. He would spend his final days in a peaceful home-like setting designed specifically for end-oflife care, surrounded by his family. Ira J. Kodner, MD, a pioneer in colon and rectal surgery and prominent medical ethicist, is the recipient of the 2018 President’s Achievement Award given by The Foundation for Barnes-Jewish Hospital. 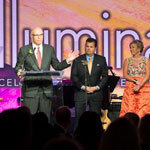 The Illumination Gala brings our community together to help fund cancer research at Siteman Cancer Center. 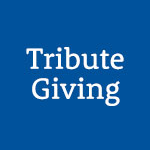 Recurring giving makes it easy and convenient for donors to give on a regular basis. 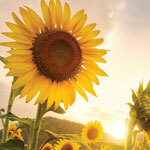 Learn about the many benefits of charitable giving through your estate plan. Learn how our donors are making a difference in the lives of others.